CCBC is still occupying the original location, although it has seen a massive transformation over the previous couple years. Two years ago the property expanded from 15,000 to 25,000 sq. ft. then promptly expanded to 45,000 sq. ft. just one short year later. 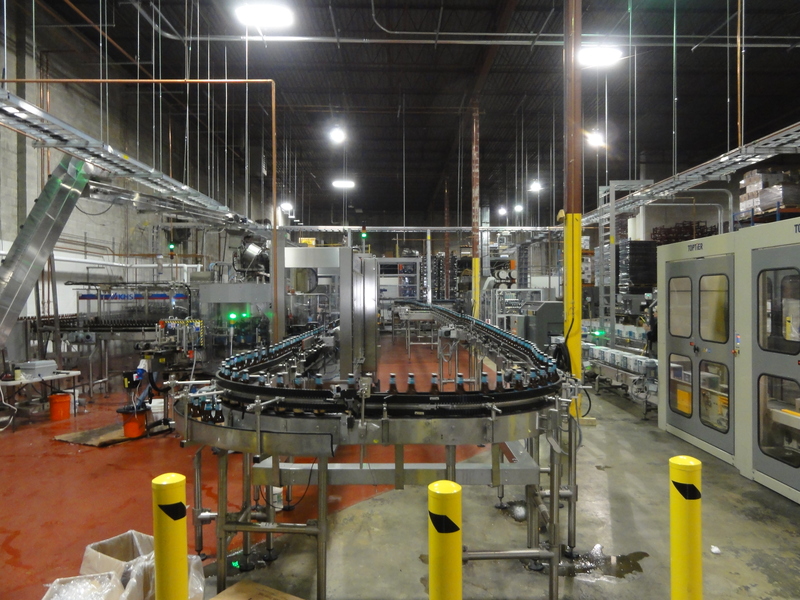 Along with the expansion came a new 40-head bottling line that began running just this past January and is now filling roughly 260 bottles/min. This extra space has been utilized to brew around 40,000 bbl last year with goals to be at over 80,000 bbl within the next two years. 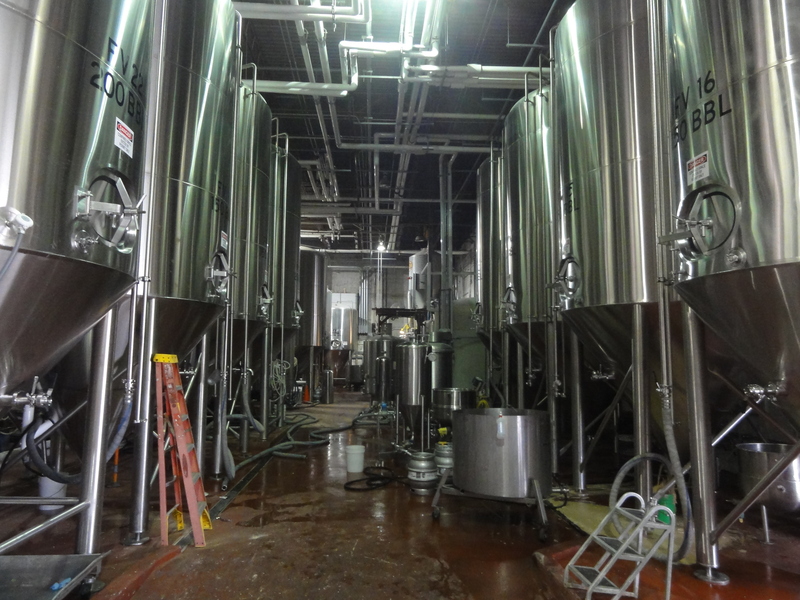 The additional production should be helped along by the installation this spring of a twin kettle, 60 bbl brewhouse to replace the 50bbl one currently in use. As of now, the brewery does not have a pilot system but is working on that acquisition. 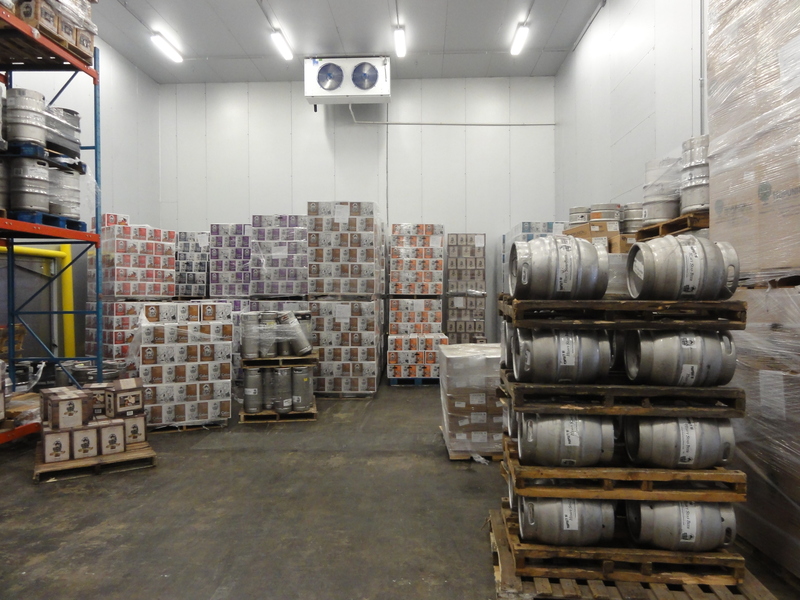 Experimentation on the part of the brewers comes in the form of cask ales. 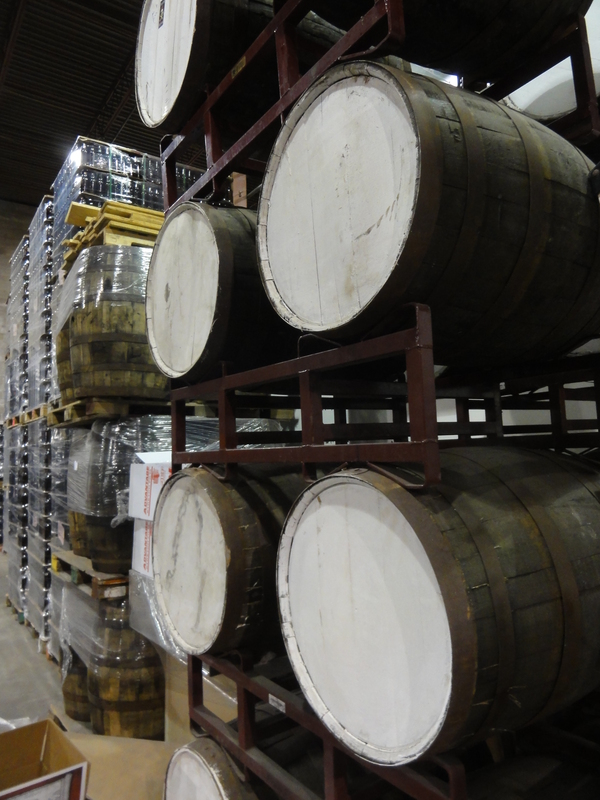 Casks are often on tap in the brewery’s taproom (two were available upon our visit) and are featured at special events, however, according to MD state law, those which are distributed from the brewery can only feature hops and/or wood aging. 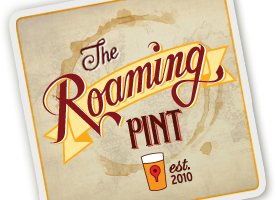 This focus on cask conditioned ‘real ale’ fits in with their stated mission of “becoming a national leader in cask ale, developing unique and diverse barrel and wood-aging techniques, and creating new stylistic variations of classic beer themes”. 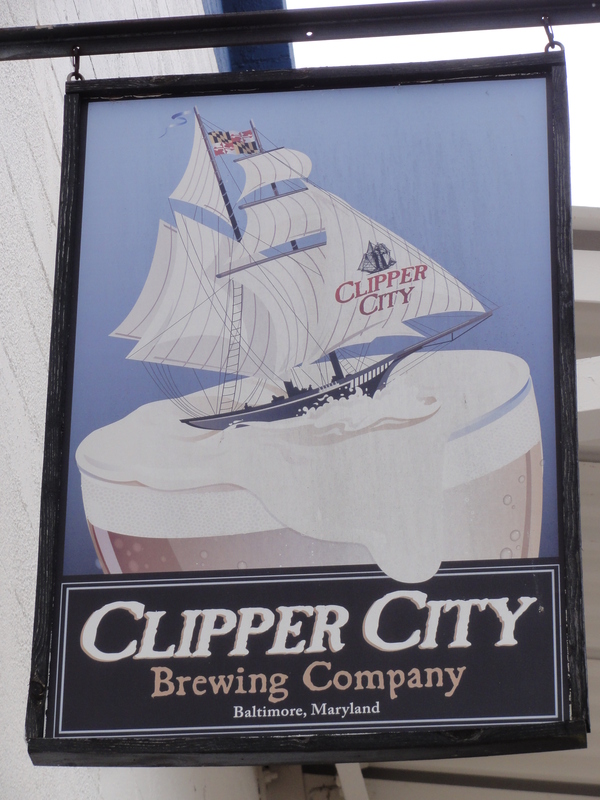 Since I brought up cask aged ales and the brewery mission, I suppose I should get on with telling you about how Heavy Seas accomplishes the other two thirds of the mission. 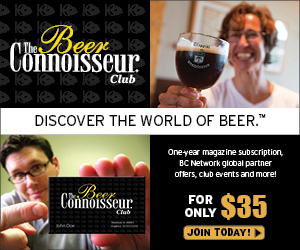 They offer six beers throughout the calendar year: Cutlass Amber Lager, Gold Ale, Small Craft Warning Über Pils, Powder Monkey Pale Ale, Peg Leg Imperial Stout, and Loose Cannon American Hop3 IPA – a beer that makes beautiful use of their hop cannon, a device which blasts one pound of pellet hops per bbl to the top of the fermentation vessel where they can filter down throughout the beer for dry hopping. The seasonal rotation, all registering between 7 – 7.5% ABV, features Black Cannon Black IPA Jan-Mar, Riptide White IPA (which was being bottled the day of our visit and has just been released to the market) Apr – June, Red Sky At Night Belgian-style Saison Ale July-Sept, and Winter Storm Imperial ESB Oct-Dec. Combinations of the year round and seasonal offerings can be found in their Sunken Sampler variety 12 pack or in a single style, all available in 6 packs of 12oz bottles or on draught. 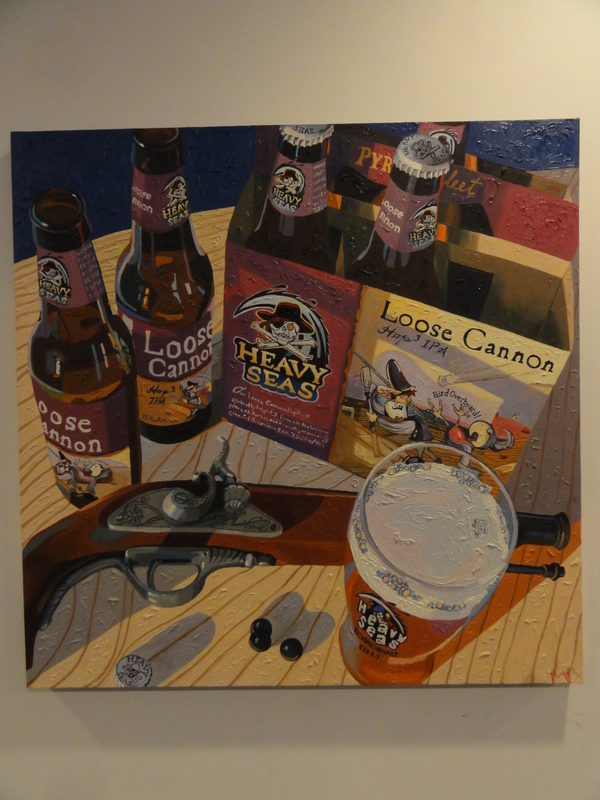 We were also privileged to be on site to watch the first run of Heavy Seas cans – cans of Loose CANnon just hit the market for the MLB’s opening day. The Uncharted Waters series are their high gravity beers that are all wood aged in some fashion and typically brewed in a maximum of 200 bbl. They are distributed in kegs or 22oz bombers only. In January they release Siren Noire, an Imperial Chocolate Stout aged in bourbon bbl; March is the Big DIPA aged on oak spirals; Holy Sheet is an Über Abbey Ale aged in Brandy bbl and can be found in May; Plank III releases in July and this year’s version is a Belgian-style Ale aged on Jamaican Allspice wood planks (Plank I and II were an Old Ale and Doppelbock, respectively); Great’er Pumpkin Imperial Pumpkin Ale ages in bourbon barrels and is released in September; the newest addition, Yuletide, launches in November and the style will change each year. Brew Master, Chris Leonard, recently joined the team by way of Fort Bend Brewing Co. in Texas and currently oversees a team of brewers who keep the production moving 24 hours a day, 5 days a week. The brewery now hosts six large events throughout the year that can accommodate around 500 people and, of course, plenty of beer stations to keep lines short and conversation long. This year the typically largest festival, Oyster Fest, was hosted on Feb 1st serving oysters from around the world. March 8th saw the celebration of Real Ale & BBQ which showcased about 10 specialty firkins with tons of BBQ. This past Saturday, April 5th was Burgers & Brews where the brewery held a competition for best sliders among a variety of local burger slingers accompanied with freshly made french fries. The Charmery served up Peg Leg ice cream and Riptide White IPA ice cream and there were about 8 cask conditioned ales. Later in the year will see Beer & Bacon Fest on Sept 13thand Chili & Cheese Fest on Nov 8th – if those don’t sound like fun then you just may not know the meaning of the word. Finally, Pints & Panic is hosted Dec 13th and offers the unique opportunity to do some holiday shopping among locally based vendors with the comfort of a cold craft beer in your hand. 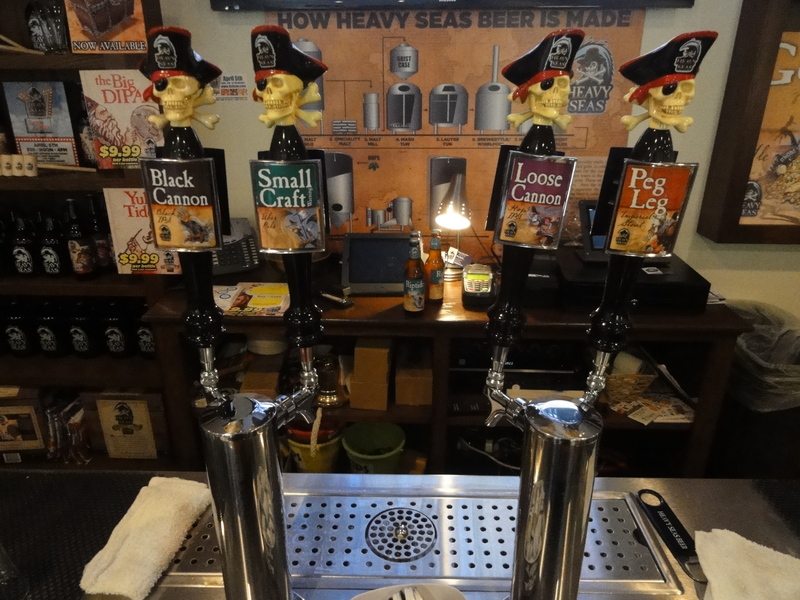 The Heavy Seas Tap Room is open Wed-Thurs 3-9pm, Fri 3-10pm, Sat 11am-10pm, and Sun 12-5pm. 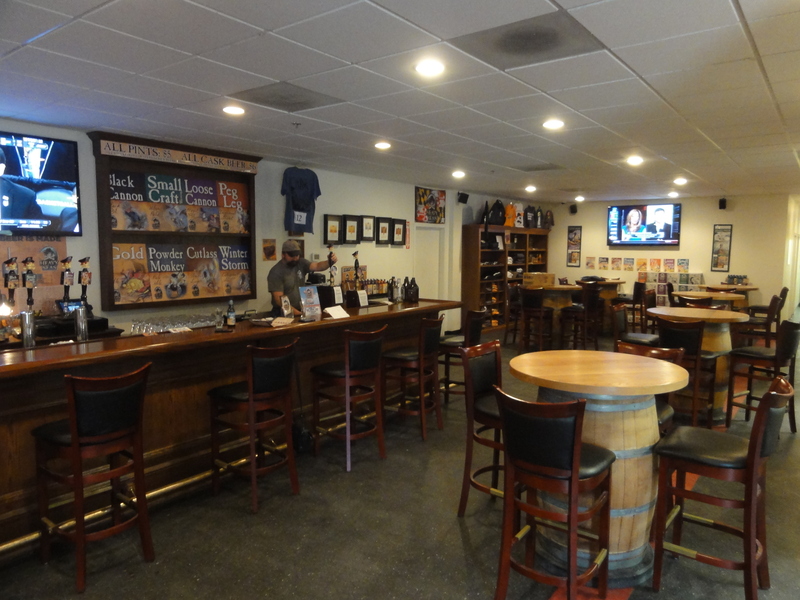 Free public tours are also offered on most Saturdays but you should contact Register@HeavySeasBeer.com to get on the list and for only $5 you can get a souvenir pint glass with 5 beer samples. 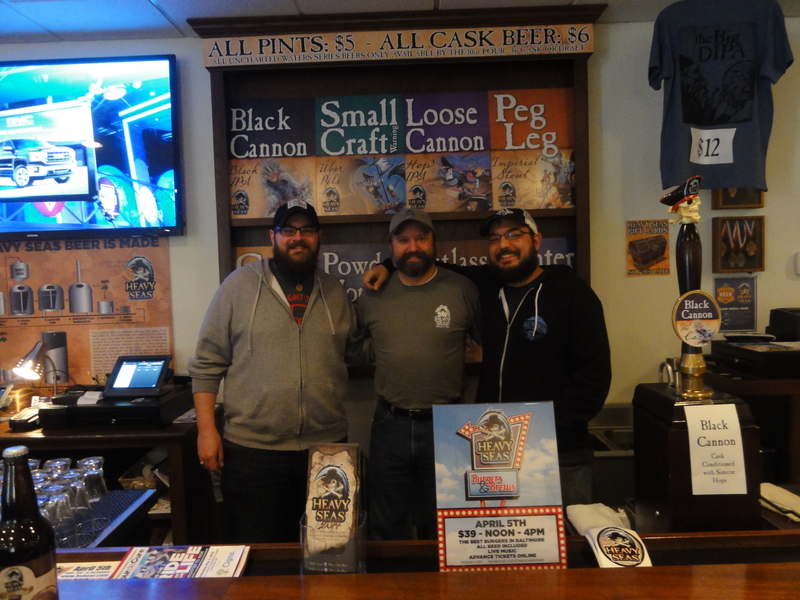 Thank you very much to Dan for providing us such insight into the Heavy Seas brand and showing us around the expanded brewery as well as to Chris and the Heavy Seas staff for speaking with us and showing us a great time.